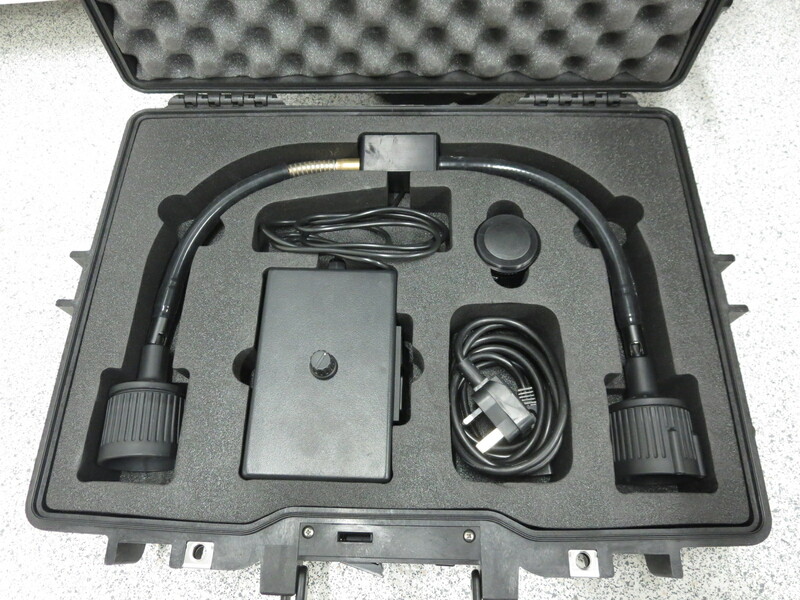 Provides high resolution (16M, 0.05 mm) IR reflectography images of a surface (e.g. a painting), portable, equipped with a macro lens for close-ups. Key features: High resolution images (16 mega pixels). Object resolution down to 0.05mm (0.002 inches). Images produced in minutes. Small enough to be carried in airline hand luggage. Single finished image produced rather than multiple images that require further processing. User selectable integration time. User selectable depth of field via lens aperture (F/number). Zoom in and out of the screen to look at fine details. Simple controls allow selection and capture of an area of interest. Fast focus mode allows the best focus to be quickly obtained. Integration time and black-level calibrations simply controlled by PC display.